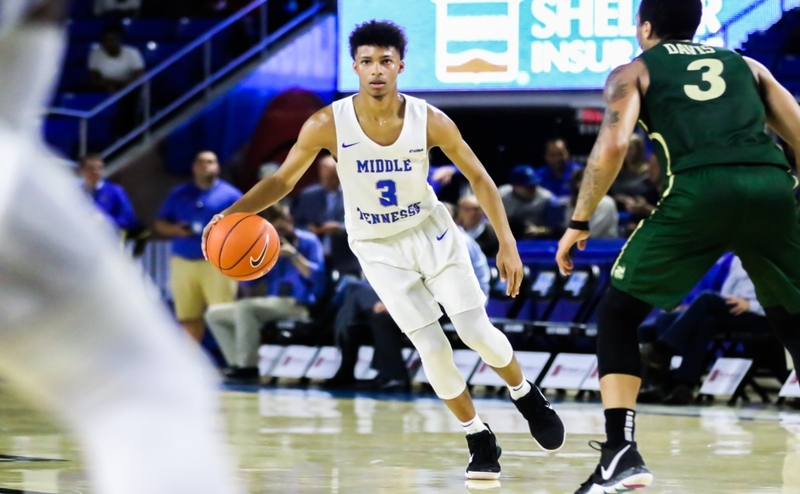 The Middle Tennessee State Blue Raiders (8-16, 5-6) were able to stay hot and improve their win streak to three with a 71-53 victory over the Charlotte 49ers (5-18, 2-10) in Murphy Center on Thursday night. 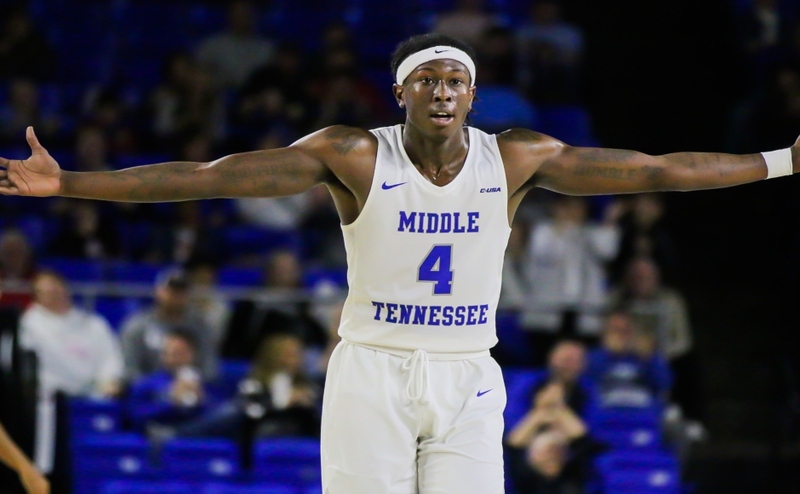 The Blue Raiders were able to jump out to an 11-5 lead in the first five minutes of the game thanks to Donovan Sims and Antonio Green connecting on their shots early from beyond the arc. Green caught fire later at the 10-minute mark in the first period, connecting on all three of his three-point attempts. Karl Gamble joined in on the action and knocked down a three ball himself, giving the Raiders a 27-23 lead with 7:16 to go in the first half. “I feel comfortable shooting jump shots, and I’ve worked on it. So, you know, just going to keep going and keep shooting,” Gamble said. 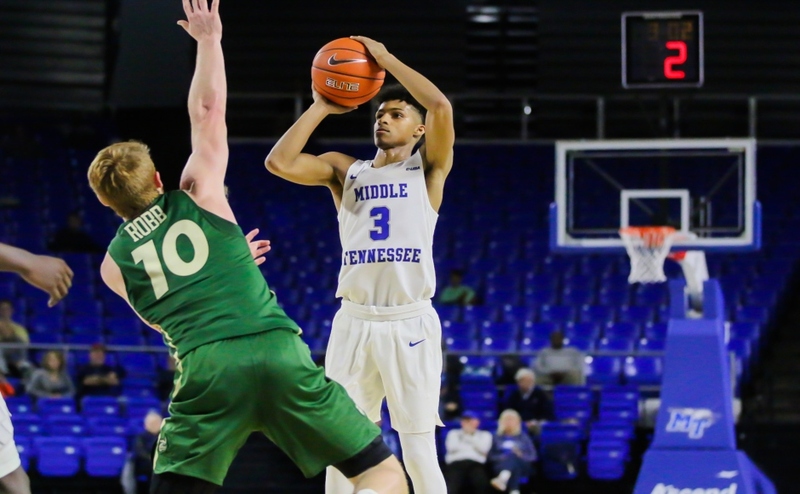 The Blue Raiders held a 35-27 lead but went on a dry spell in the final four minutes of action and were unable to score a single point in the remaining time of the first half. A jumper from 49er Jailan Haslam and a pair of free throws from Brandon Young cut the Blue Raider lead to four going into halftime. MTSU came out of the locker room stronger than when they entered, beginning the second half with a 10-5 run. 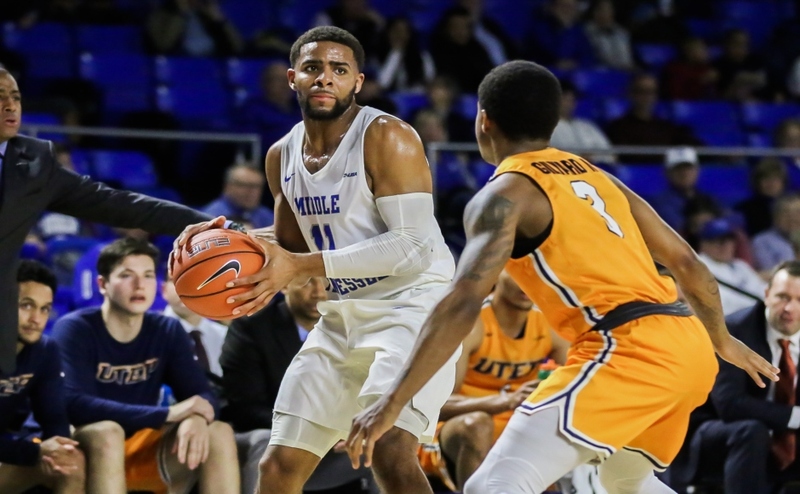 Five of those 10 points belonged to Sims who connected from three-point land to put the MTSU up by nine with a score of 45-36, their largest lead in the game prior to this point. Reggie Scurry had a strong presence on the defensive side of the ball with three steals. The most memorable coming halfway through the second period when Scurry stole the ball from 49ers guard Jon Davis and finished the play with a windmill dunk. Halfway through the second period, the Raiders had outscored Charlotte 18-9 with the 49ers shooting at just 27 percent since coming out of the locker room. Gamble hit a mid-range jumper to elevate the lead to over 20 points with 5:36 left in the contest. 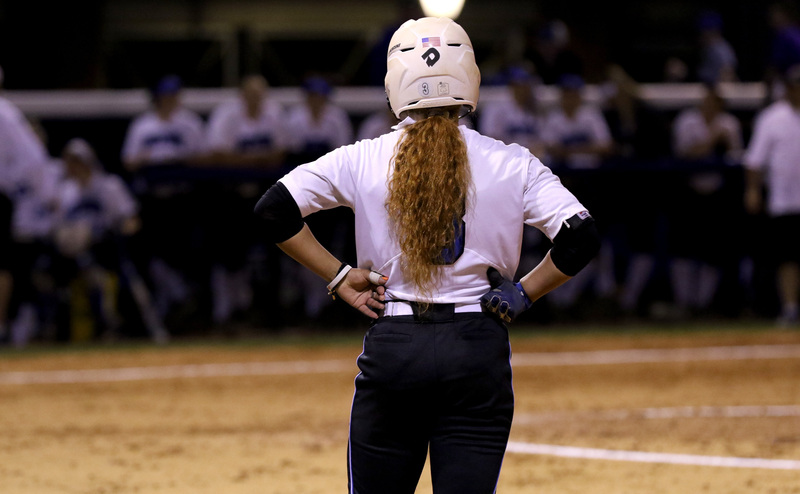 The Blue Raiders set the pace to cruise-control the rest of the way and earned their third consecutive victory. “Our shoot around this morning was really good. 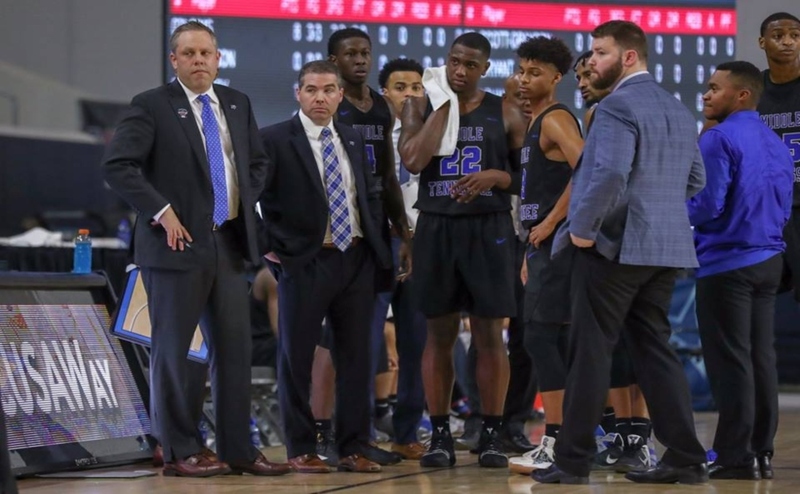 You can’t just show up and expect to beat somebody in this league by 15, 18 points just because you showed up and played hard,” said head coach Nick McDevitt. The Blue Raiders shot well, finishing the game with a 49 percent field goal percentage and went 12-28 (42.9%) from beyond the three-point line with 11 of those 12 shots coming from Sims (4-8) and Green (7-15). Four players finished the game in double figures, Gamble (12), Green (21), Scurry (11), and Sims (16). Jon Davis led the 49ers with 14 points. The Blue Raiders will host Old Dominion (19-6, 9-3) who will enter the contest as the current number one seed in Conference USA. Tip-off is set for 6 p.m. at Murphy Center.